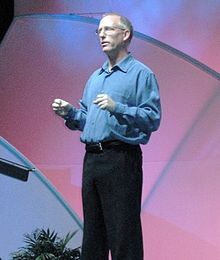 Cartoonist and pundit Scott Adams wrote God's Debris (2001), which lays out a theory of pandeism. In January 2016, a Kickstarter fundraising effort successfully funded a book titled Pandeism: An Anthology, set to contain articles from over a dozen different writers examining pandeism from many different points of view, thus being the broadest examination of the theory yet made. The book includes writings by Bernardo Kastrup, Raphael Lataster, Anthony Peake, Michael Arnheim, Zoltan Istvan, Robert G. Brown, and William Walker Atkinson (father of the philosophy of the Law of Attraction), as well as pieces examining pandeism from Hindu, Islamic, Unitarian, and atheist perspectives. A second volume published in 2019 includes a new piece from Varadaraja V. Raman and a translation from Max Bernhard Weinstein's book, as well as an examination from Jewish and Stoic perspectives. 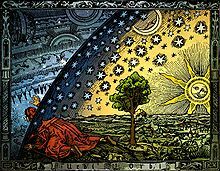 In 2017, renegade priest Paul Kramer deemed Pope Francis "a pandeist who does not believe in the transcendent God and Creator of Catholicism, but in the immanent ‘divine principle’ of Paganism, the life giving world soul (anima mundi) within the Universe." ^ a b c Bruner, Michael S.; Davenport, John; Norwine, Jim (2013). "An Evolving Worldview: Culture-Shift in University Students". In Norwine, Jim (ed.). A World After Climate Change and Culture-Shift. Springer. p. 46. ISBN 9400773528. Some of us think that postmodernity represents a similar change of dominant worldviews, one which could turn out to be just as singular as modernity by being a stunning amalgam of James and Weber. If we are correct, then the changed attitudes, assumptions, and values might work together to change ways of life which in turn transform our geographies of mind and being, that is, both the actual physical landscapes and the mental valuescapes we inhabit. One increasingly common outcome of this ongoing transformation, itself a symptom perhaps of post-industrial secular societies, is the movement away from self-denial toward a denial of the supernatural. This development promises to fundamentally alter future geographies of mind and being by shifting the locus of causality from an exalted Godhead to the domain of Nature. How this Nature is ultimately defined has broad repercussions for the, at times, artificial distinction between religious and secular worldviews. For Levine (2011), "secularism is a positive, not a negative, condition, not a denial of the world of spirit and of religion, but an affirmation of the world we're living in now ... such a world is capable of bringing us to the condition of 'fullness' that religion has always promised" (Levine quoted in Wood 2011). 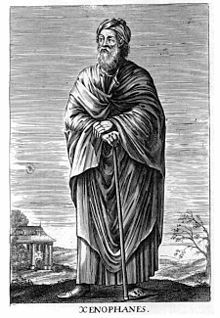 For others, this "fullness" is present in more religious-oriented pantheistic or pandeistic belief systems with, in the latter case, the inclusion of God as the ever unfolding expression of a complex universe with an identifiable beginning but no teleological direction necessarily present. ^ Michael Newton Keas (2019). UNbelievable: 7 Myths About the History and Future of Science and Religion. pp. 149–150. ^ Istvan, Zoltan (January 27, 2017). "Transhumanism and Theistcideism". In Mapson, Knujon (ed.). Pandeism: An Anthology. John Hunt Publishing. pp. 274–291. ISBN 978-1785354120. This page was last edited on 24 April 2019, at 02:11 (UTC).